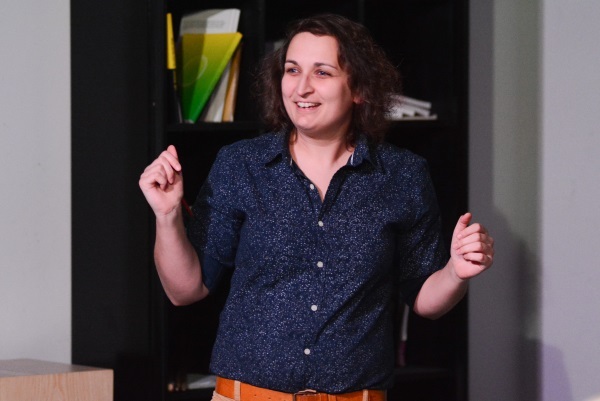 Home » Culture » Our review of an improv performance – Meleg helyzetek?! 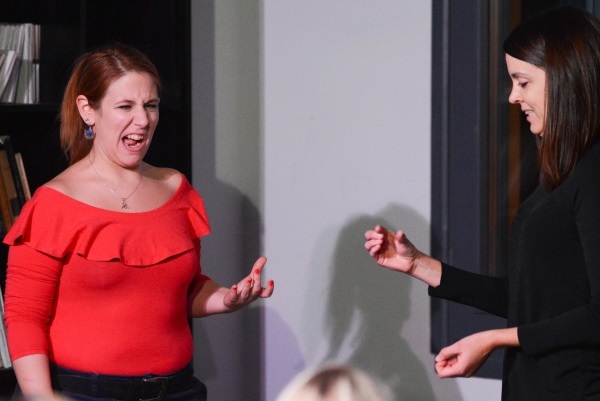 With qLit’s support, last Sunday Ági Bokor (Impróka) and various actors from Budapest’s improv scene assembled their second event of Meleg helyzetek? 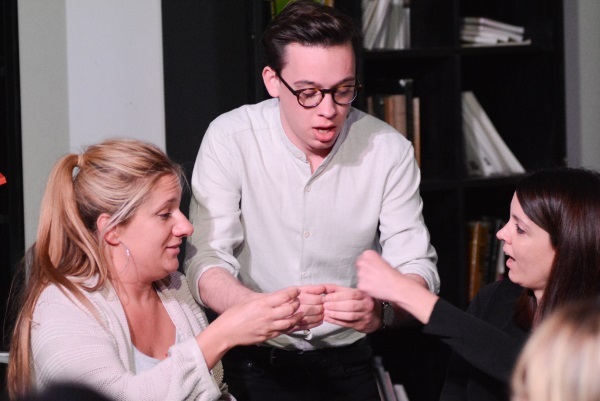 !, an improvisational performance, and it was a full house at Lumen Coffeehouse. The actors aced it, the tone and the spirit were fantastic, and the feedback we got encourages us to start organizing the next event. So what can you expect from the performance, if you’re planning to see it? The main focus of improv is that there are no written or expected scenes or scripts. Everything the audience sees is improvised, even the audience can affect the theme of the scenes, or where they take place. The result of this is that there are no two performances alike, each time we get to see another new story. For example, on the 2nd of December we saw the lesbian Vanda Antonovics’s life played out in front of us, from her childhood to coming out to her family, through starting a family, through a painful breakup. In the end, we got to chat with the characters from Vanda’s story - her mother, her sibling or her ex partner - asking them questions, learning their true motives. In a different story, we saw 3 important scenes from Olga and Ildi’s relationship: one from the beginning of their relationship, one from the middle and another from its end. Before all of it, we witnessed a dozen testimonies from various places and scenes of life, from the market to the closet, through the workplace. We got to see the short story of an office romance, where the actors had to keep getting physically closer and closer, due to stage directions. The performance was really entertaining, we laughed and almost cried from how familiar some of the situations felt. Just like we mentioned earlier, we’re already assembling the next occasion, it will be worth to take a look at our schedule for February. To see more pictures of the event, visit our Facebook page HERE.